Today I am sending a few postcards of my own. Yup, this weary pregnant lady actually ventured out in the summer heat to have lunch in a new town. It’s funny. In my old life you’d only get a postcard from me if I took a trip on an airplane. In my new life I send postcards from restaurants that are only 30 minutes from my house. Nonetheless I will use this lunch outting to introduce the town of Mesilla, New Mexico. It’s rich history dates from Indians in the 16th century. Eventually the Spanish conquered the Indians and mantained control of this area until Mexico achieved independence from Spain in 1821. Mesilla remained a Mexican town until it officially became a part of the US in 1854, with the Gadsden Purchase. Thus, this area has a great fusion of Native American, Mexican, and Spanish cultures. During the 1800’s it remained the largest town between San Diego and San Antonio. Permanent settlers came in 1848. By the 1880’s Mesilla was a social hub. The town was alive with theater, dance, bullfights, and gambling. Needless to say it attracted its share of violence. In fact, it was at the jail and courthouse on the southeast corner of the plaza in Mesilla that Billy the Kid was tried and sentenced to hang in 1881. 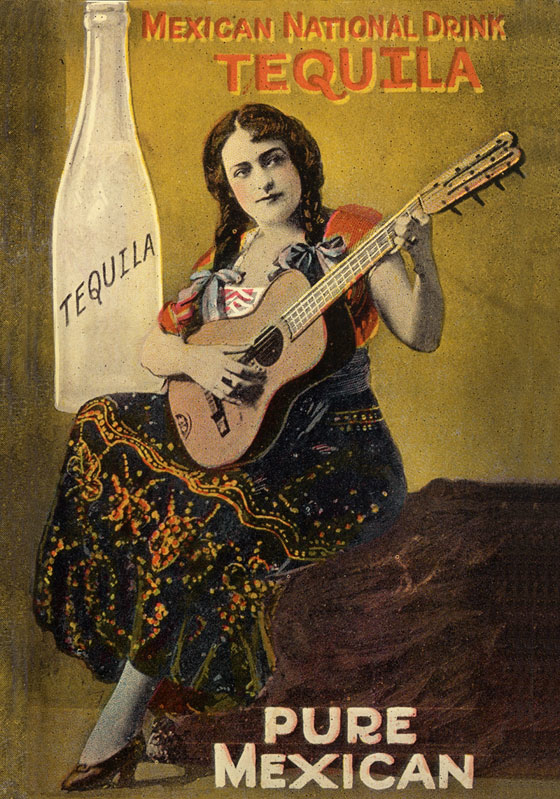 The town of Mesilla was as wild as the West ever was. In the mid 19th century a building went up in Mesilla. It was a cantina with four tables, dirt floors and no running water. It was named La Posta. The restaurant has remained open this entire time. As you might imagine there has been some remodeling and upgrades through the years as it is a main attraction. In the event that it isn’t obvious…this is where I had lunch. The food served is made with as many locally grown and produced products as possible. La Posta de Mesilla supports 7 local farms and businesses. We had lunch in the Lava Room. It’s walls are made of lava rock and as you can see, tropical plants abound. I heard that during the 1870’s and 80’s, the Lave Room served as a stable to care for stagecoach horses used on the famous Butterfield Stagecoach Trail. Horse history aside, the red chile con carne was amazing and their chiles rellenos was the best I’ve ever had. 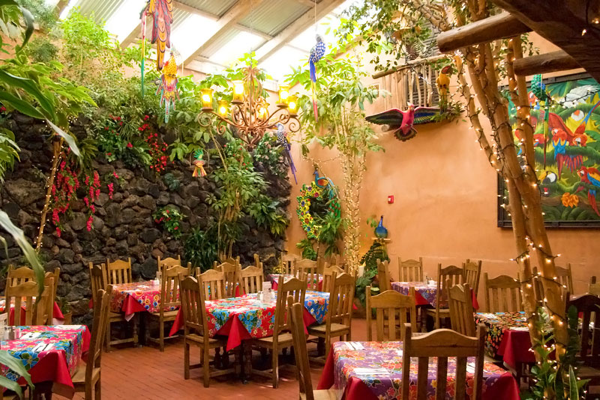 On my to-do list for post-breastfeeding…The Cantina at La Posta serves over 100 types of tequila. I heard they make their margaritas from scratch. Real lime juice! 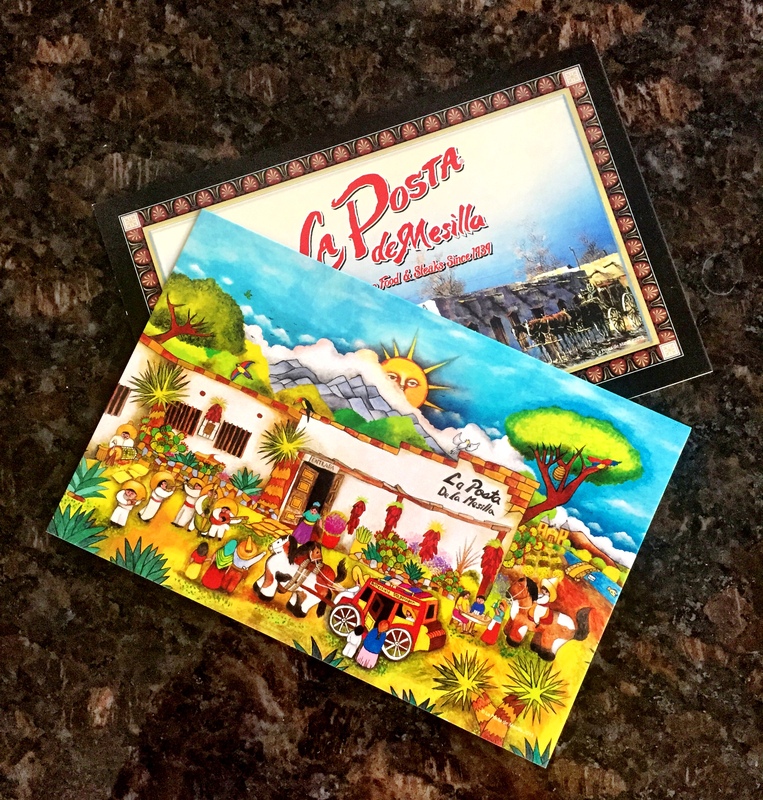 This entry was posted in Community, Travels, Uncategorized and tagged La Posta de Mesilla, New Mexico, Real Mexican Food, travel.